Maetrics Solutions Delivery Team is led by highly qualified industry experts who are charged with delivering compliance solutions tailored to our individual clients’ needs. We have the skill and experience to avoid one size fits all programs. Mike is Director of Solutions Delivery at Maetrics LLC with more than 25 years of in line management and consultation roles. Mike has helped organizations design, implement and improve Quality Management Systems and processes and to achieve and maintain Regulatory Compliance, including Market Clearance for new devices and related international licenses or product registrations. 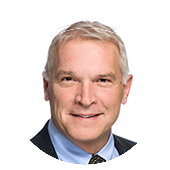 Mike recently served as Regulatory Subject Matter Expert within a large-scale improvement project at a global Orthopedic Device company, leading the legacy review and remediation of Labeling, Regulatory Assessment and Pre-Market Product Launch processes and records. He is a recognized regulatory spokesperson, is a certified biomedical auditor and has expertise in training program development.